Emulating the Values of Biko 40 Years Later - Activate! 2017-09-12 /0 Comments/in Activator Stories /by Activate! During the month of September, we join the Pan African Movement, the masses of South Africans and the world in commemorating 40 years since the tragic death of the proponent of Black Consciousness. A heavyweight in his own right and hero who stood shoulder to shoulder with the African heroes, Stephen Bantu Biko died brutally in the hands of his oppressors, not because he was a criminal, but because of his ideals of promoting the mental liberation and consciousness of Africans from Cape to Cairo, Morocco to Madagascar. Despite being imprisoned in Kgosi Mampuru Prison, his spirit was never broken and neither was his vision to ensure the realisation of Black Consciousness diminished because his values continue to linger today, 40 years after his death. 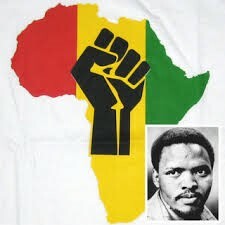 As we remember Biko, let us remember the important need for Africa to know herself, and to unite and organise as Africans and to always remember that through Black Consciousness, we will be organised and will listen to the voice of reason and roll our sleeves as the Mother of all Struggles has begun, the struggle of Total African Independence. Bantu Biko never died, he has multiplied. His death and, most importantly, his blood watered a strong firm tree which has produced fruits and the names of those are Bikos.